March 29th – April 7th, 2019 BIGGER AND BETTER THAN LAST YEAR! LIVE MUSIC EVERY DAY & NIGHT THRU RALLY! 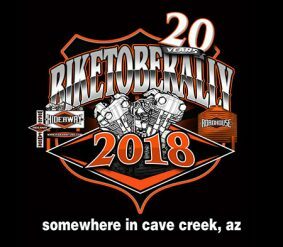 AZ BUILDERS, BIKER GAMES, VENDORS, GIVE-A-WAYS, DRINK SPECIALS & MUCH MORE!! MAKE YOUR PLANS NOW!!! FEBRUARY 15 – 17 2018. 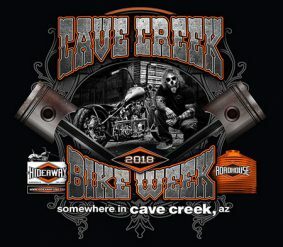 All of Arizona’s Premiere Motorcycle Builders Showcasing their Latest Custom Creations. Tons of vendors and giveaways. 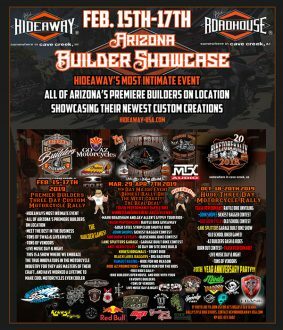 Come & meet Arizona’s premiere builders! Vendors – Live Music – Events – Everyday.